100% Cotton with Cesar Millan signature. 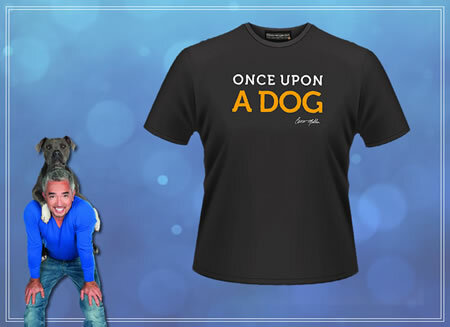 Once Upon A Dog Female Tour T-Shirt. Once Upon A Dog. Unisex Tour T-Shirt. 100% Cotton with Cesar Millan signature and embroidery Once Upon A Dog Tour logo on the front. 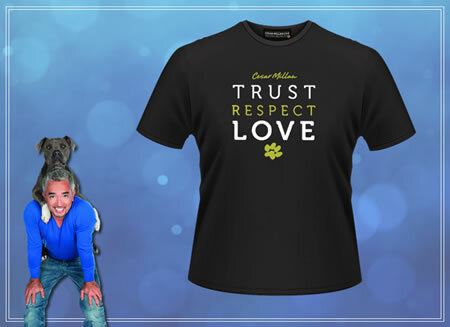 Zip Front and two front zip pockets, plus two inside pockets with Cesar Millan signature and embroidery Once Upon A Dog Tour logo on the front, plus TRUST-RESPECT-LOVE on the back. Beany cap embroidered with TRUST-RESPECT-LOVE and Cesar Millan signature. Beanie Cap embroidered with ONCE UPON A DOG and Cesar Millan signature. 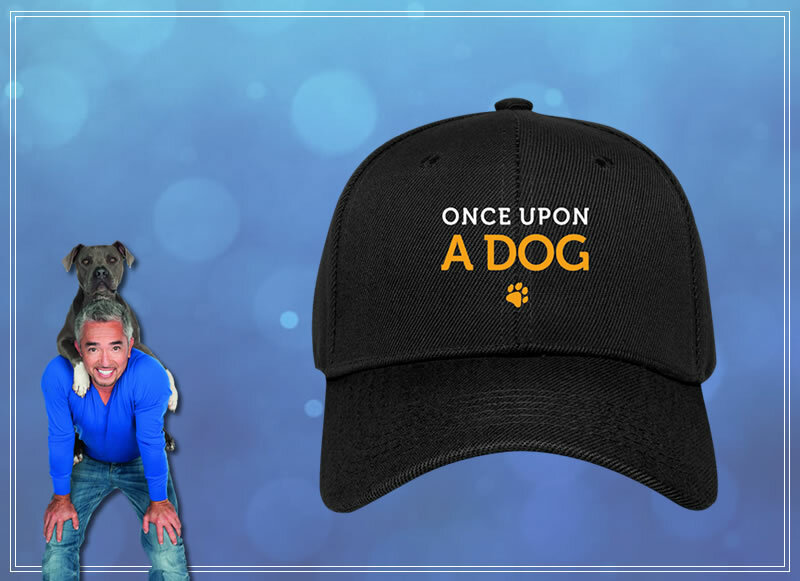 Black Baseball Cap embroidered with ONCE UPON A DOG and Cesar Millan signature. 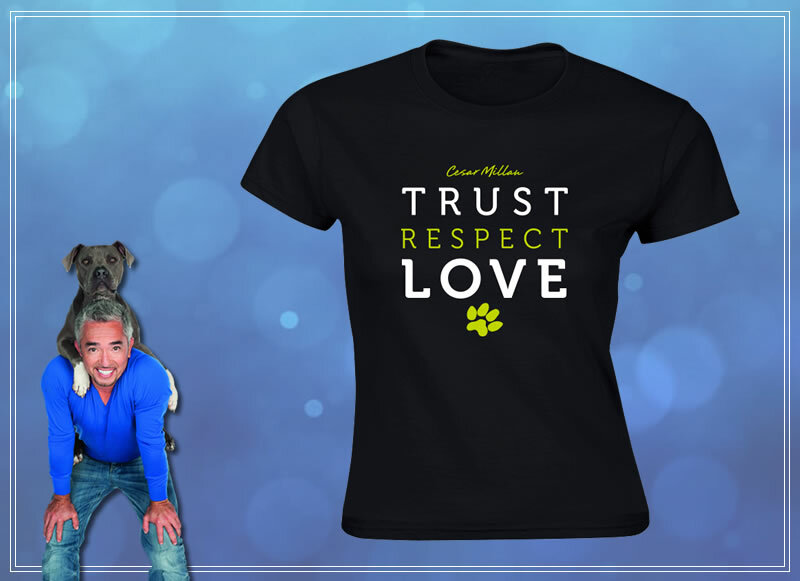 Black Baseball Cap embroidered with TRUST-RESPECT-LOVE and Cesar Millan signature. 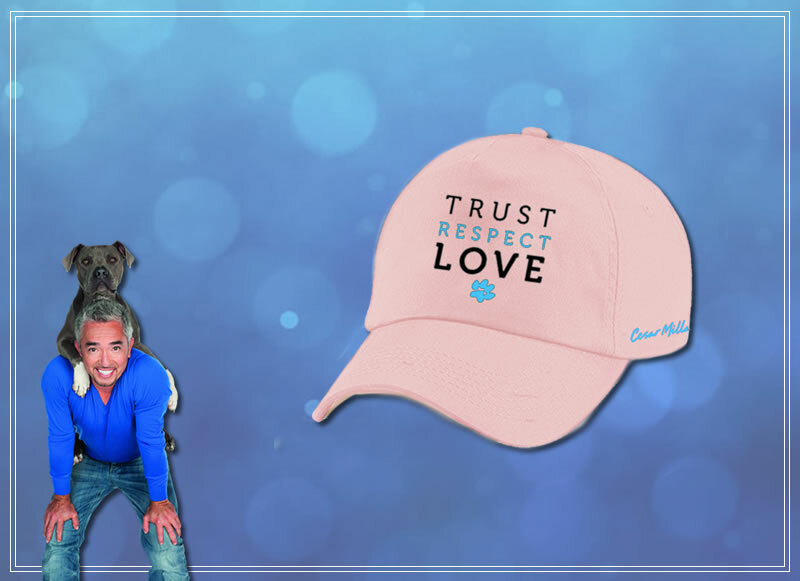 Pink Baseball Cap embroidered with TRUST-RESPECT-LOVE and Cesar Millan signature.